CNN features the new episodes of The Great American Read, the first of which was broadcast last night. We are reminded of the accompanying posters. Emily Brontë's classic novel "Wuthering Heights" is one of the 15 books to be given the travel ad treatment, with a rather haunting design in keeping with the theme of the doomed love story. USA Today interviews host Meredith Vieira and finalist James Patterson about the coming episodes. Treasures of the British Library will take viewers on an absorbing, surprising and often poignant journey through history. From a handwritten Beethoven violin concerto score and Charlotte Brontë’s Jane Eyre manuscript, to the seminal 1978 Rock against Racism poster and audio recordings of George Harrison, this series will once again remind the viewer of the important role the British Library plays in preserving our collective heritage to provide inspiration for future generations, as seen through the eyes of a group of celebrated cultural figures. The series features moments such as Andrew Scott reading from the first quarto of Hamlet, following his renowned turn as the Prince of Denmark on the stage last year, and violinist Nicola Benedetti playing from a handwritten score of Beethoven’s violin concerto. The New York Times Magazine has a piece of Cary Fukunaga and mentions his take on Jane Eyre. Coincidentally, QCityMetro recommends a trip to the British Library, although the article is slightly misleading when it comes to Brontë items there. 20 Minutos (Spain) tells about a recent talk by Spanish writers Espido Freire and Fernando Marías on Mary Shelley's Frankenstein. Alison Ver Halen posts about Villette. 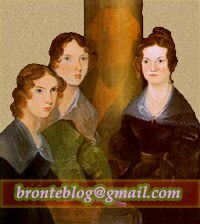 The Brontë Brussels Calendar: July 1842 is up on the Brussels Brontë Blog.